Now that you’ve chosen your crystal, using the suggestions we covered yesterday, you’ll first need to cleanse it before we start work. Crystals absorb energy, just as they project it. When you first receive a crystal, or if you have been working with it for some time, you may need to cleanse it of unwanted vibrations from people or situations with which it has come into contact. A simple way to cleanse a crystal is to hold it in your hand, say a prayer or dedication and then blow gently on the crystal, imagining that your breath is white light which will blow away all negative vibrations within that crystal. You may also visualize a cascade of pure white light flowing into and around your stone, cleaning it and transmuting any negativity into light. 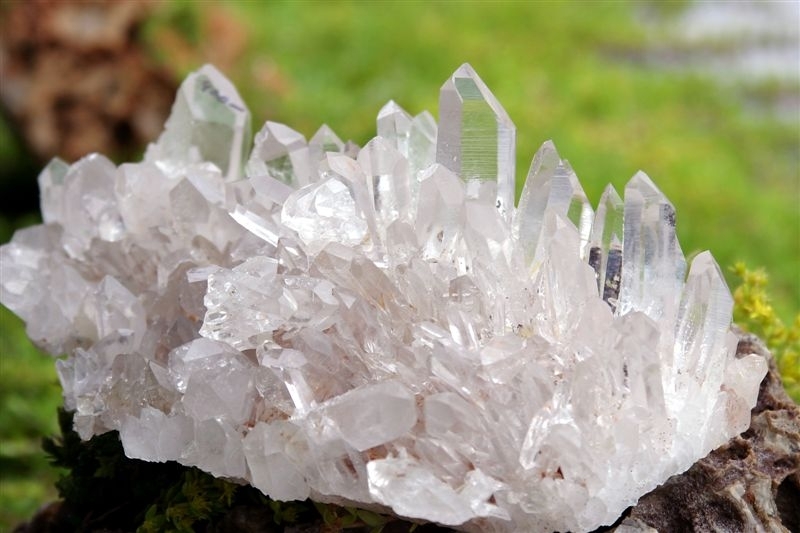 Crystals may be placed on a bed of rock salt in a wooden, glass or pottery container, and left in a quiet place. They can be smudged with smoke from fragrant timbers and herbs, or with the smoke from incense. The fragrant smoke clears the energy of people, places and objects. 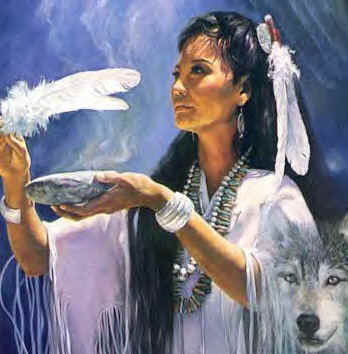 This is a technique often used by Native American Indians and Australian Aborigines. 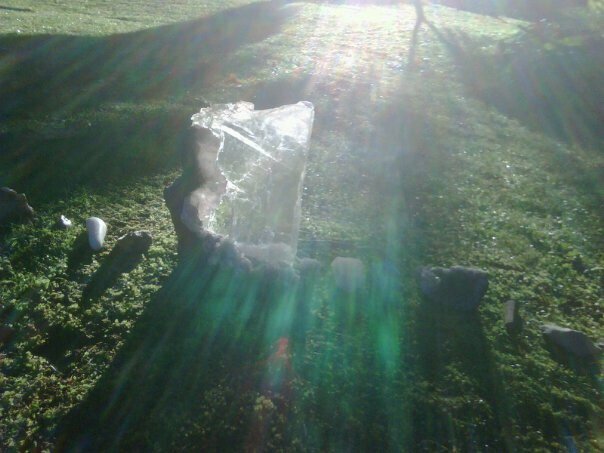 To smudge a stone, just waft the smoke onto and around the crystal. You might want to do yourself too, at the same time! As with any cleansing process your intent that the crystal be cleansed and that any negativity be transformed into light is of the highest importance. 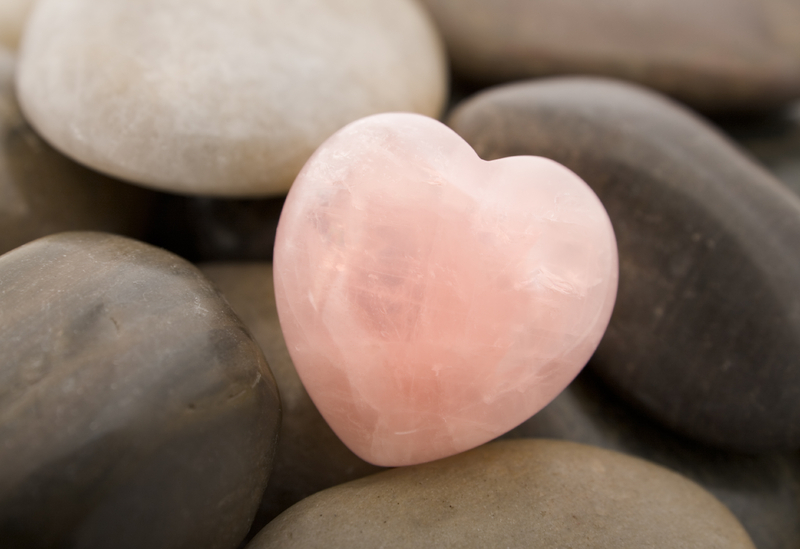 Other gentle ways to clean stones includes placing them in sunlight, in a garden or beneath a healthy potplant, placing them outside in moonlight or showers of rain, and washing them under running water. Streams, rivers and the sea are ideal for this. There are some stones that do not like water, including malachite and selenite. Use your intuition, and be gentle with delicate stones. 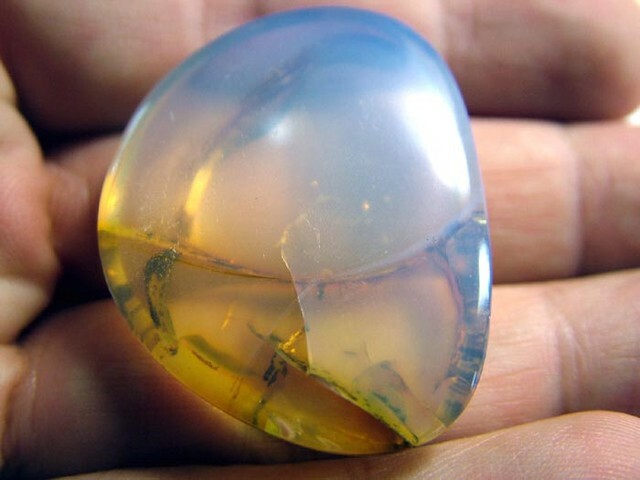 In some instances crystals may even break, indicating that they have served their purpose and are no longer needed in your life. Burying certain stones or partially covering them with earth often helps stones to ‘ground’ and return to their true essence more quickly. Hard working crystals often develop rainbows around their internal fractures, which is symbolic of release, healing and joy. From difficult times something of great beauty and value can often come. This entry was posted in Crystals and stones, Energy Work, Fairies, Meditation, Metaphysical Stuff, Spirituality and tagged auras, cleansing a crystal, crystal gifts, crystals, energy fields, energy work, Fairies, free crystal meditation, free guided meditation, healing, how to smudge, meditation, metaphysical gifts, nature, negative vibrations, Nicole Cody, psychic, short guided meditation, working with crystals by Cauldrons and Cupcakes. Bookmark the permalink. I have a beautiful light green apatite which I treasure – that I bought years and years ago in Nederland, Colorado. This is so weird. I’ve been getting “crystal” cards lately, and now you’re explaining how to work with crystals. But I’ve never been attracted to crystals or stones, they don’t really jump out at me. Even now I own many that were given as gifts, but don’t feel the urge to pick them up. Thanks for the selenite tip. I have a few wonderful pieces but they are HUGE! I’ve never worked/played with crystals before and this morning I read your post about choosing a crystal. I thought, I wonder if I’ll ever do that one day? I then drove my 8 yr daughter to an outing, and noticed she had a box next to her. When we got there she held it up and said, ‘Mum, which one’s your favourite?’ It was a box of small crystals/stones that she’d collected over the months. I was stunned. I looked through them, and returned to the first one that caught my eye. It has a white base moving up from mid to dark purple to a triangular peak. I asked if I could keep it with me for the day. She said, ‘Sure.’ And continued on to her activity with her box of crystals. She had not seen the post I was reading and we have not spoken about crystals at all. Thank you so much for this post…I’m now ready to work with my crystals! Hooray! They really are such a magical tool. I want to be honest about this, I listened to your meditation (which was beautiful, you have a very relaxing voice that’s easy to listen to) and I tried to imagine stepping into the stone and receiving the energy but I’m not sure I got it as clearly as I should have. I am pretty sceptical about all of this, perhaps just because it’s so far removed from my experience of life so far, but I also really want it to work! I was given a beautiful little heart-shaped polished stone (I have a geologist friend who’ll know what type of stone it is and I must ask him) by my ex-husband. He bought it in a Buddhist monastery shop when we were visiting there and it’s got a little attachment on it that allows to be threaded onto a chain and worn as a pendant. I quite often wear it and I feel happy wearing it, although when I think about who bought me it there is a little sadness there too. I like the fact that he bought it though, because at the time he bought it out of love and it makes me think of happy times with him. I could find another stone that wouldn’t have these connections, but I think perhaps it’s quite nice to keep things that have happy memories even if they could also potentially have sad memories. What do you think? I think it’s a great stone for you to use! You know, I am one of the world’s greatest sceptics, or at least I was, once upon a time. I needed everything to be scientific, academic and prove-able. Too funny really, considering my life… But I have had so much proof over the years about all things metaphysical that I now accept it as a normal part of my life, and my hope is that with my blog, I can make some of this more mainstream for others too. We’re all intuitive, and all of us have sensitivity to some degree. All you ever need to do is stay open, suspend your disbelief and allow whatever comes – without worry or judgement. Thank you Nicole, you are fulfilling your aims with your blog, in that you do make connecting with the metaphysical more mainstream. It’s had a bit of a bad press sometimes with ‘wacky’ types coming too much to the fore, but then that can happen with religions and any sort of movement where belief is a key component. I very much like what you say about staying open, suspending disbelief and allowing whatever comes to come without worry or judgement. I’ve had several strong characters in my life who have shaped the way I look at the world and influenced my beliefs. Growing away from them and finding my own beliefs is a gradual process, and one I approach quite tentatively, although it’s getting easier the older I get. When I was younger I assumed these people were right and I was happy to follow their lead in certain areas I felt clueless about, but, as you say, when you get personal proof of things you can’t keep ignoring it. It’s exciting and freeing, if possibly a little daunting, to realise that I don’t have to be completely influenced by these people I respect greatly. I can still love and respect them and their opinions while holding my own, different, opinions and I shouldn’t feel nervous about that. I’m very glad to be sharing this journey with you too, and I know that even if I struggle with some things (such as the energy from crystals and the existence of fairies) you can understand where I’m coming from, having been in this position yourself. That’s good to know, and I appreciate your non-judgemental attitude to your readers. You’re providing a great service and I’m really happy to be one of the beneficiaries. I think there is room in the world for all of our different beliefs and realities, and all that we ever really need do is respect one another, practice kindness, and stay open-minded. Yes, that’s her, with the red hair. Gorgeous, huh? Oh, there’s another between the two rocks – did you know that? She is bigger – didn’t see her the first time…whoa! what an amazing picture – did you take it? Is this your back yard at Possum Creek? So happy to hear that you’re reuniting with your long-lost love. Nicole, I am blown away by the faery (Sokli ?) in the photo! That is just unbelievably beautiful. That has just reinvigorated my beliefs that they are there , so I shall talk more to them! I wonder if there are many in the Pilbara where it’s dry and dusty? My crystals are being cleansed and they feel happy!